It's hard to believe but this is my 14th year of living and working in New York City. Following my dream of being a photographer hasn't always been an easy path. Was I crazy for leaving my country, family and friends to make it in the big bad city ? Maybe a little. But I would do it all over again. Over the years of living abroad I have changed and so has my photography. Clients have come and gone and I have gotten a teeny bit wiser. One thing I learned about myself is that my work isn't just about taking a pretty picture. I thrive when I connect with people and having great energy around makes me happy at the end of the day. Which brings me to the subject of this newsletter. I've had the great fortune of starting to work with the Mount Sinai Health System in the beginning of this year. They hired me to photograph some of the key figures in Brain Health for the beautiful atrium at the Annenberg Building on the Upper Eastside. It was an amazing experience to set up shop in the middle of a bustling hospital and to meet all these dedicated and brilliant human beings. Neuroscientists, nurses, psychiatrists, neurosurgeons and others working together to improve the well-being of their patients, save lives and give hope. They took time out of their busy days to be photographed. And they took that time seriously - opening up and sharing some of their work and who they are with me and my camera. 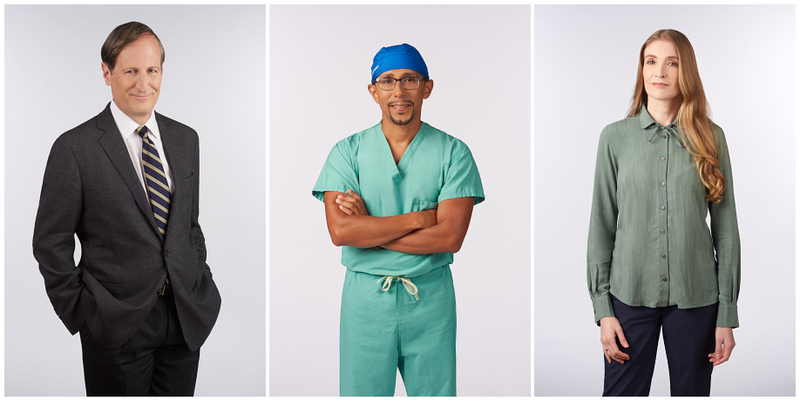 The creative team at Mount Sinai has been a joy to collaborate with. They appreciate my vision and most of all, they are enthusiastic and understand the importance of branding that is on point. 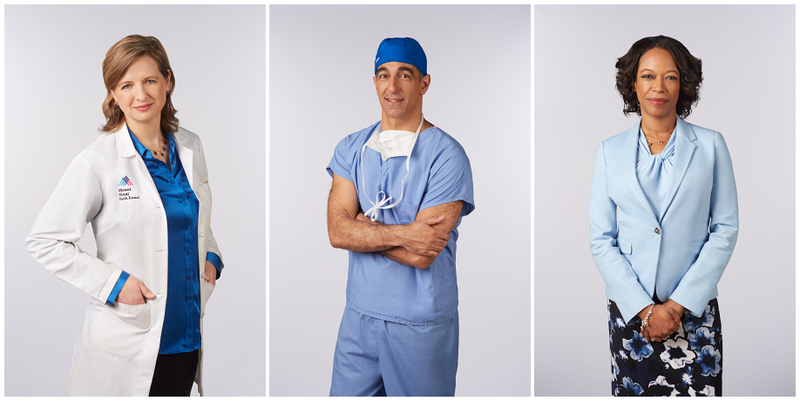 Mount Sinai reached out recently to have their leadership photographed - among them Dr. Dennis Charney. He arrived for his appointment dressed to the T - even matching his socks and shoes to our dark blue background. What's not to love about polka-dot socks ? got what I needed. I thought that he was ready to be done, so I replied that we could wrap up. "Ok, now I can tell you my story." It turned out that the very day of our shoot was the 1-year anniversary of a very tragic event that took place. Exactly one year ago he was shot outside a well-known Chappaqua, NY deli. Dennis Charney was hospitalized from the shooting but survived it. The attacker turned out to be a former subordinate, who used to be a researcher for Charney. talked about resilience. He said he hoped that I was able to capture him with that feeling as it meant a lot to him. I picked up the camera and shot a few more frames and we said our goodbyes. And lastly, I had the great opportunity to help create one image which became part of the #MyMountSinai campaign currently displayed at Union Square station. We respect your privacy, this is a spam free zone.